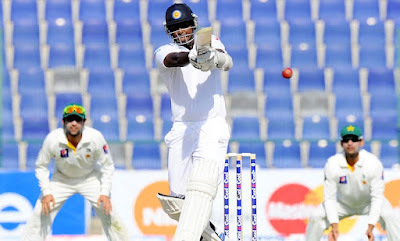 Two great Asian Cricket teams Paksitan and Sri Lanka are ready to play three match test series hosted by Sri Lanka. 1st test match is starting from 17th June 2015 at Galle. the match will start at 9:30 am Pakistani time. Pakistani skipper Misbah Ul Haq is hopeful that his team will show good performance against host team. on other hand Sri Lankan captain Angelo Mathews thinks that no Saeed Ajmal in Pakistani side is a big psychological boost for Sri Lankan side and bad for Pakistan. both the teams have few senior and most of young players. Sri Lanka's key players are Sangakkara and Herath. for Pakistani captain Misbah, Younis Khan and young Yasir Shah will play Important role. both the teams have played 48 test matches head to head. Pakistan won 17 and Sri Lanka won 13 while 18 matches had no result. so Pakistan has a little edge if we see the past. but this time Pakistani team is less experienced and SL also has the home advantage.